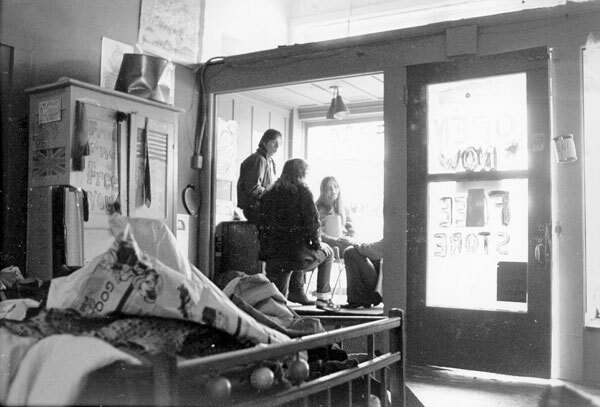 The Diggers' Free Store was a small ground-floor shop at 264 East Tenth Street, and its name is a simple description, not an advertising slogan. Diggers were part of the hippy generation, who sought to help their neighbours, so everything in the Free Store is given away. 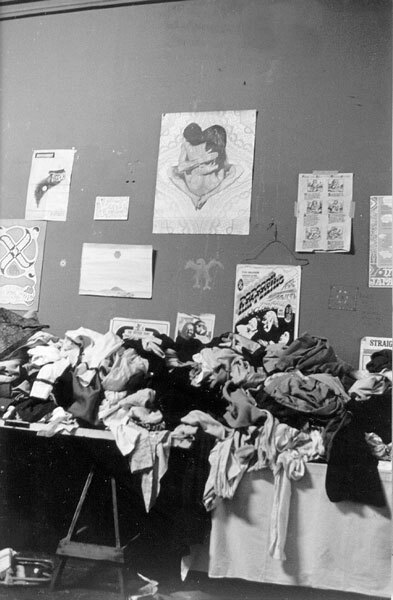 The group sought to create a mini-society free of money and capitalism. The Diggers combined street theatre, anarcho-direct action, and art happenings in their social agenda of creating a Free City. Their most famous activities revolved around distributing Free Food every day in the Park, and distributing "surplus energy" at a series of Free Stores, where everything was free for the taking. To implement an alternative economy based on giving rather than money. The Diggers’ Free Store persisted as a tangible model for potentially reformulating local economic relationships. The San Francisco Diggers and residents of San Francisco.